Since 2019, the National Testing Agency (NTA) has been conducting the National Eligibility Entrance Test (NEET). Students who wish to study for any graduate medical course (MBBS/ dental course) (BDS) or postgraduate course (MD / MS) in government or private medical colleges in India need to appear for the NEET Exam 2020. However, many people are clueless ‘how to fill NEET application form 2020’. 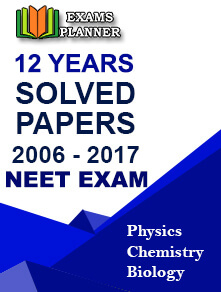 They may know everything about NEET 2020 like its syllabus, exam pattern, important dates, etc. ; but, when it comes to filling the NEET 2020 application form, most of them get totally confused. To help such candidates, we are providing a simple guide to fill the NEET-UG 2020 application form. So, here are the steps for applicants filling online NEET 2020 exam application form. Go to the official website of NTA NEET (www.ntaneet.nic.in) and find the ‘apply online’ link for the NEET Exam 2020. Click on it. Carefully read all the important instructions and perform the online registration steps (first part of the application). Simply follow the on-screen instruction to complete the online registration. Once you complete the online registration, a registration number will be generated. Note down the registration number for further steps. Log-in to your account using the generated registration number and fill in the required information as suggested like Personal Details, Birthplace information, Contact Details, Domicile of Candidates, Parents/Guardians Details, Applicant’s Details, Qualifying Details, State Quota, Language of examination, Choice of examination centre. Review the information provided in the application form carefully before clicking on the ‘submit’ Make sure to properly check the information marked in red before submitting the form. Once submitted, you will be then prompted to upload the scanned documents such as Photograph, Signature and Finger Impression in the required dimension and size. After that, you will be prompted to make payment either through E-Challan or Net Banking/ Debit Card/ Credit Card. Once payment is done successfully, you will get a reference number on your registered email id and/ or phone number. Keep it safe for future correspondence. Note: Candidates are advised to keep the necessary documents ready before starting to fill the NEET 2020 application form. Candidates can either go with the online mode or offline mode to make the payment for the NEET exam 2020. If making an online payment, you must have a debit/credit card. Also, candidates can make the payment in offline mode through challan at bank or e post office.